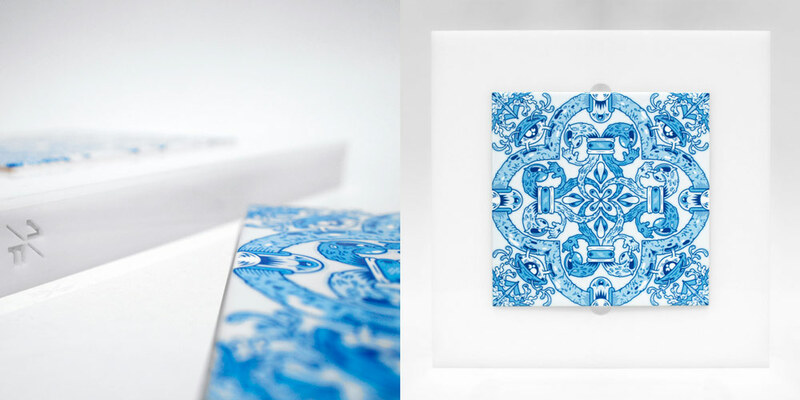 Portuguese artist Add Fuel is back with his new book Square One! Featuring a selection of original paintings, artist editions and mural pieces created over the last few years, this self-published presents a comprehensive look at Add Fuel’s signature style. Alongside extremely limited quantities of the signed book we also have Squared an exclusive new hand-pulled screen print, as well as one of each of Add Fuel’s collector’s edition tiles to accompany the book! Read on as Add Fuel gives us some insight into his latest print, his self published book and much more. . .
Add Fuel: The “Squared” print follows up with the launch of my first book “Square One”. 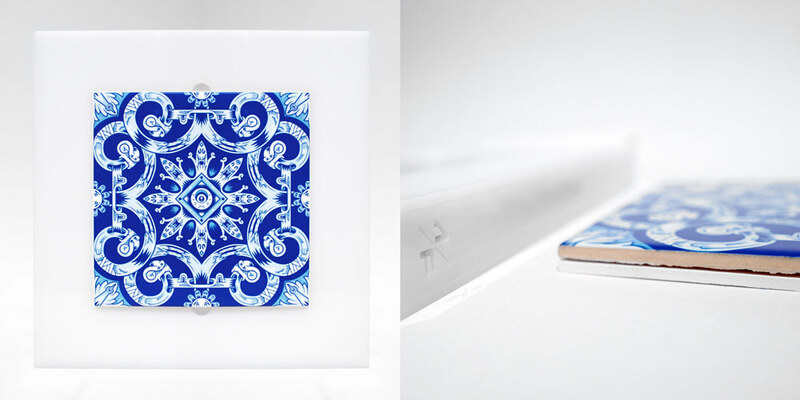 This print combines the cover of the book with the two visuals from the book’s collector’s edition tiles. I combined them in a way that the square format (of the tiles and the print itself) is uncomfortably transversed by a semi quarter circular shape. Add Fuel: This is a new composition, based on the book cover and collector’s edition tiles from the book “Square One”. 1x: When was this piece drawn and created and what materials were used to create this original piece? Add Fuel: These were each made in early 2018. The original piece is offset print (book cover) and gel ink on ceramic (tiles). Add Fuel: I wanted to tie together the book visual and aesthetic with a print. The three different visuals for the cover (printed cover and collector’s edition tiles) also have common elements that connect if places together in a grid. Then I realized that it would be interesting to explore how all these squared visuals and compositions would interact if disrupted by a circular element, thus, breaking free from the square shape. Add Fuel: Overall this was a process that took around 7 days. Add Fuel: With this piece there is an exploration of geometry. Square vs. circular. Add Fuel: I think this print complements the book in an interesting way. It’s square shape, the cover visuals and the spot varnish (present in both the book and print) nicely tie together both objects. It’s an interesting option to the now sold out collector’s edition. Add Fuel: Our last release was around 1 year ago. 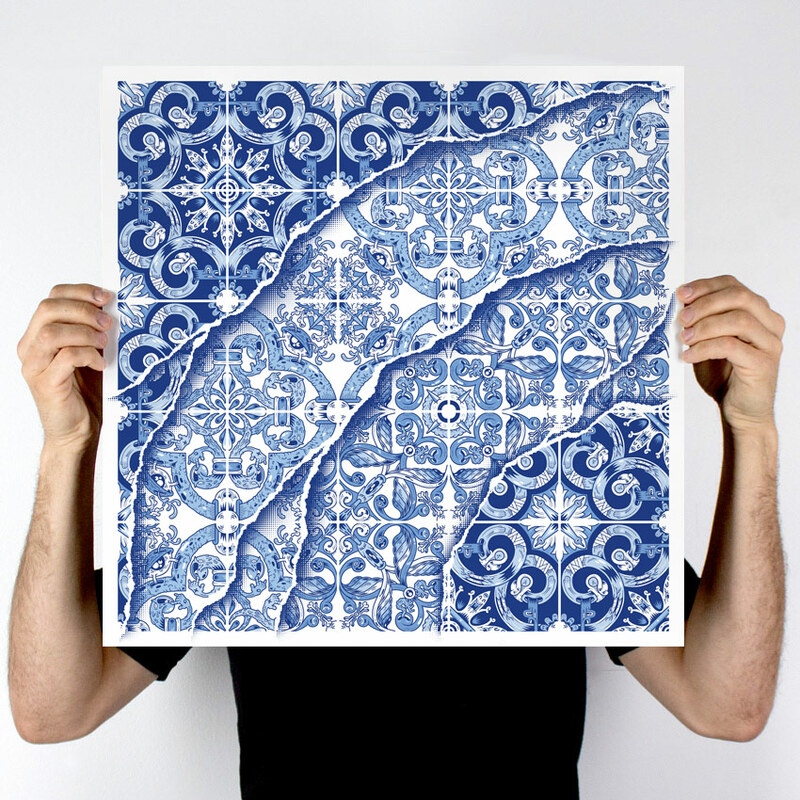 A lot has happened; murals, quite a lot of studio work, I got to have a piece in the National Tile Museum and I did an amazing project in Lisbon, a very large ceramic tile mural. And now this, my first book. Add Fuel: The most recent show is Tanto Mar at MUDE Museum in Lisbon (a ceramic piece with nearly 100 hand painted tiles). And I’ve been doing some smaller murals; doing a lot of studio time and preparing the rest of 2018 which is looking like an awesome year. Add Fuel: It’s always complicated to work with squares as a base. I keep on tying to re-invent the square. This is a not something from last year only. This is something I this I will always have to deal with. But I like it. Keeps my sharp and constantly thinking about new ways to apply my work. Add Fuel: I got the Faile Stages show print. Add Fuel: I do have some very interesting things coming up, but still not locked down, so I can’t share right now. This entry was posted in 1xRUN News. Bookmark the permalink.